Santa Claus is coming to town! It’s the most wonderful time of year again and in preparation for the big day, the perfect opportunity to welcome everyone’s Christmas Eve guest in style. The festive season and baking go hand-in-hand, whether it’s serving a sumptuous Christmas cake from an age-old family recipe or piling the mince pies high with a glass of sherry. So to celebrate, Sun-Maid Raisins is launching #BakeitforSanta, encouraging families across the UK to get creative in the kitchen and leave some extra-special treats out for Santa when he delivers presents to the children this Christmas Eve. Sun-Maid raisins are grown in the sunshine state of California and are 100% natural. Whether they are eaten straight out of the box or baked in a pie, with Sun-Maid, you get quality, taste, convenience and real fruit goodness with every bite. For more information and tasty recipes, please visit: www.sunmaid.co.uk or follow them on their new UK Facebook and Twitter pages. 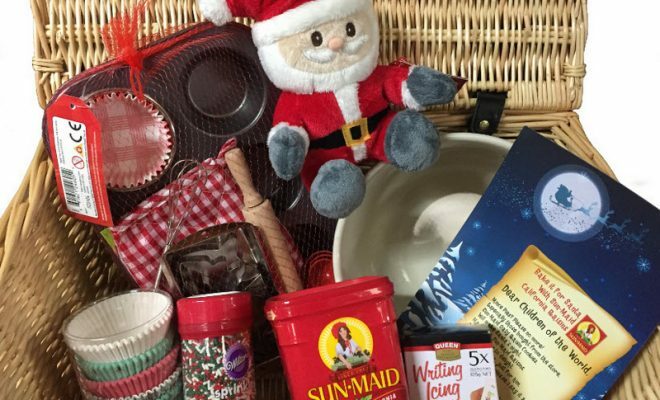 Sun-Maid wants to kick-start the festive season by giving you the chance to win a family fun baking hamper worth £66. 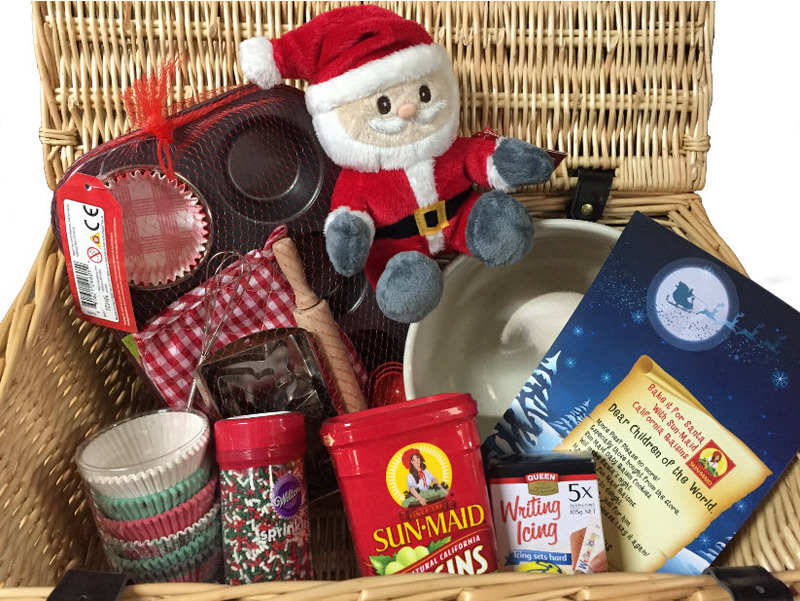 Filled with all your baking essentials including a Young Chef’s Baking set, a mixing bowl, edible icing, sprinkles, your own Santa soft toy, cupcake cases and some Sun-Maid raisins, this hamper will have everything you need to create some tasty treats that will certainly surprise Santa. Has to be scones – my very favourite!! Love baking them in cookies – Oat and Raisin cookies! Yum! I like making rock buns.